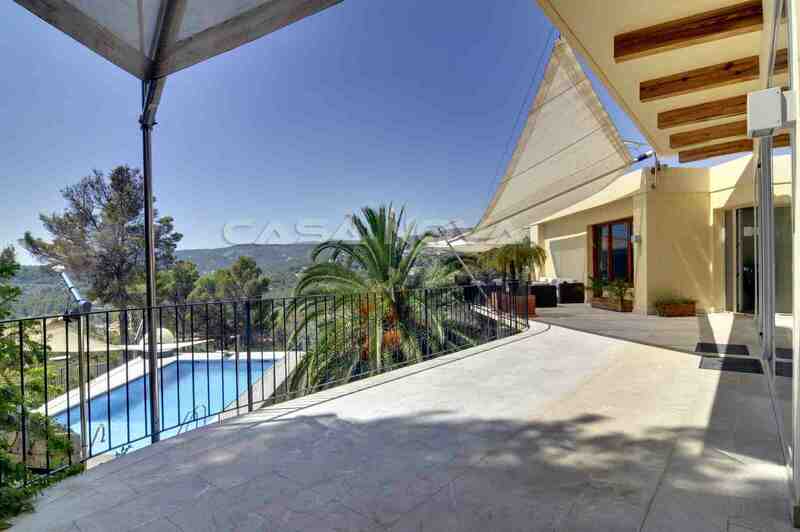 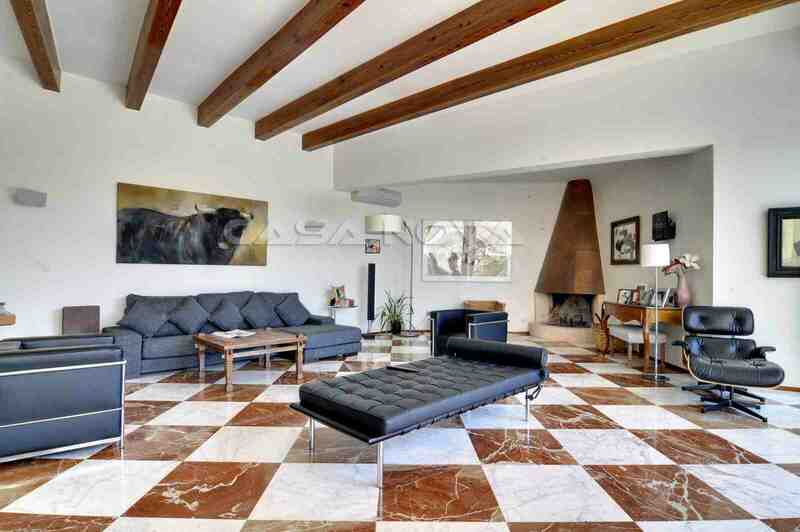 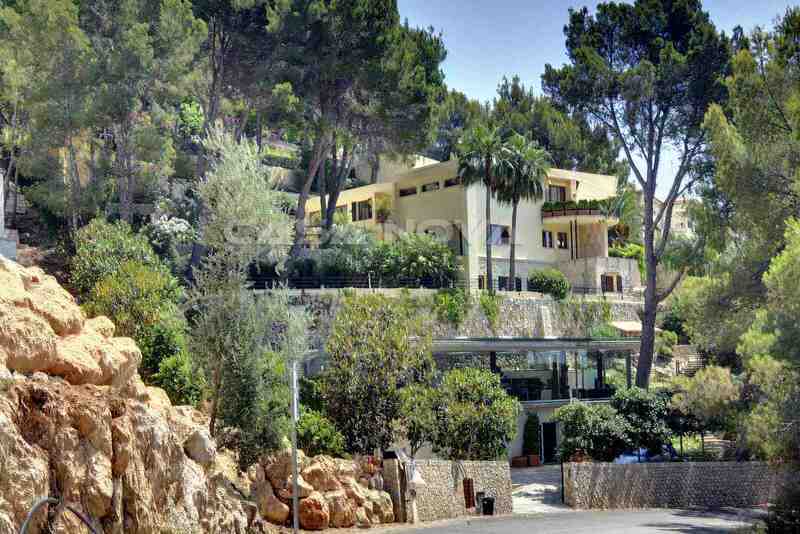 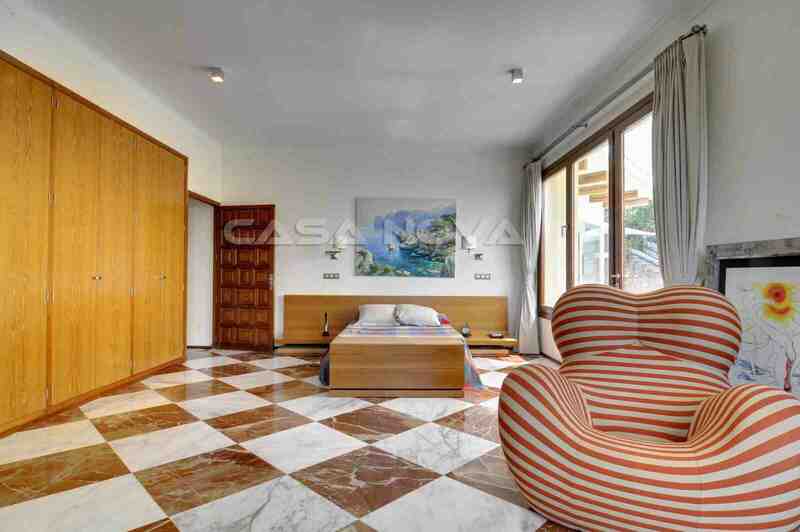 The impressive Villa is situated in a favoured area of Son Vida - Palma de Mallorca. 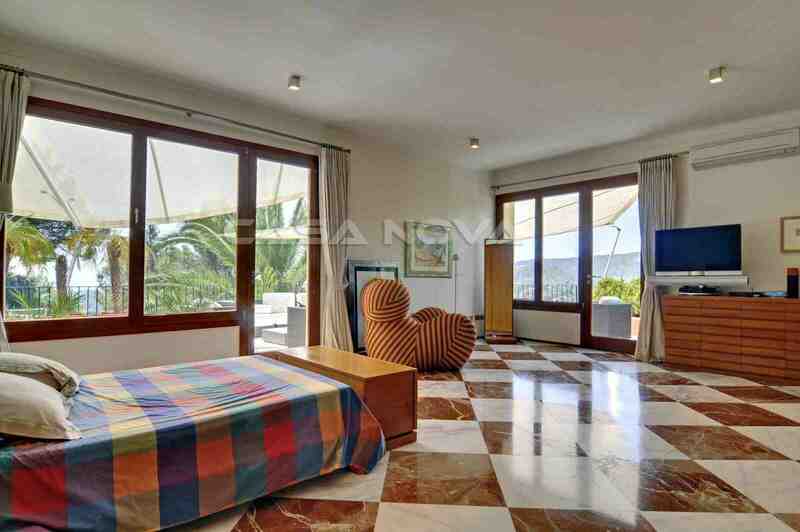 The exclusive area of Son Vida is situated above of Palma and offers unique views over the town, to the mountains and over the whole bay of Palma de Mallorca. 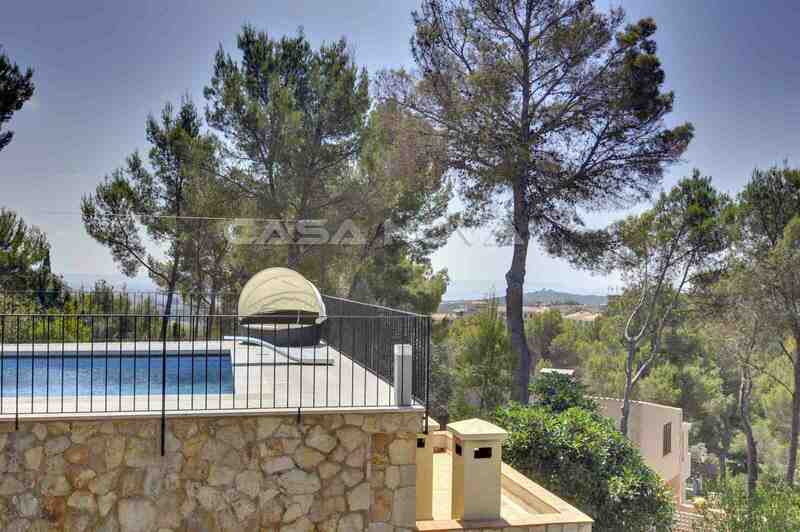 The golf courses of Son Vida are not far away and the center of Palma is just some minutes by car off. 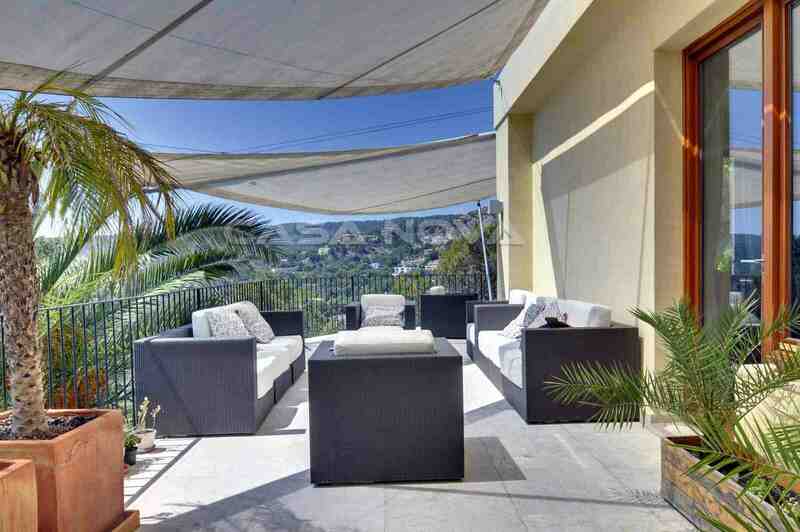 The Villa offers besides the mainhouse a guest apartment. 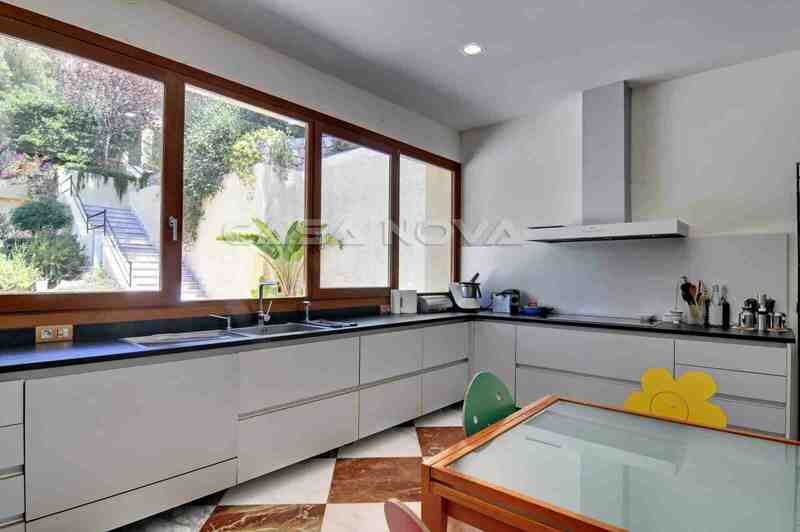 The modern interior fittings meets beam ceiling and a fireplace which gives a special ambience.